What a House Colonial Revival in Midtown. 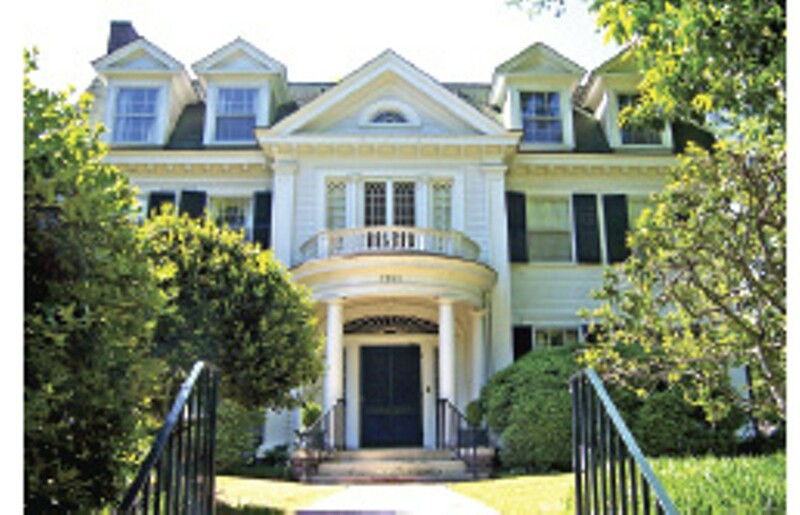 1910 was the heyday of the Colonial Revival. The 1876 centennial of America's independence and the 1893 World's Columbian Exposition in Chicago (celebrating the 400th anniversary of Columbus' discovery of some Caribbean Islands) awakened interest in the early architecture of the colonists. As a result of these two celebrations, architects began attempting more detailed interpretations of houses built along the Atlantic coast by the first English settlers. This house in Central Gardens, built in that first decade of the 20th century, is a copy of the Massachusetts pavilion at the 1893 exposition, which was based on the architects Peabody and Stearns' interpretation of John Hancock's Georgian house on Beacon Hill in Boston. In his book, Memphis, an Architectural Guide, Eugene Johnson called the house "the finest Colonial Revival structure in the city." This grand house has been meticulously maintained by the same family for the last 83 years. It has a monumental street facade, with a roof punctuated by four carefully executed dormers and a front pedimented gable with an elegant fanlight high above the entry. The large corner property is surrounded by a brick wall topped by a wooden balustrade, with dense hedges behind. But the house's real charms are mostly hidden. Once inside the gate, there is an enormous lawn on the one-and-a-third-acre lot. Besides the residence, there are a playhouse, a two-car garage with attached guest quarters, and a flagstone patio under a shady canopy. Out of sight are a fenced service yard with a covered potting bench, a storage cottage, and, tucked well back, a secret playground. The interior does not disappoint. The rooms are as splendid as you might expect, and the detailing is exquisite. The entry hall is terminated by a paneled staircase that rises through all three floors. The living and dining rooms have extraordinary original lights that remain with the house. The library is all oak paneling imported from England. The house has enough bookcases to hold 6,000 books or a lot of doodads, or both, for that matter. The kitchen is the room that would benefit from an update. The space is large and the layout efficient, but white marble counters over painted cabinets, a peninsula or an island, and new lighting couldn't hurt. The second floor has five bedrooms, three baths, and a sitting room. The closets have more built-ins than you can imagine. And several master-suite options come readily to mind. The third floor has another two bedrooms and attic to spare. This is obviously a well-loved family home, now inhabited by the fourth generation of the same clan. It can easily accommodate siblings, maiden aunts, and third cousins twice-removed. Although it's large and definitely high style, it's got a casual graciousness that suggests a rambling country estate — right in the heart of Midtown.